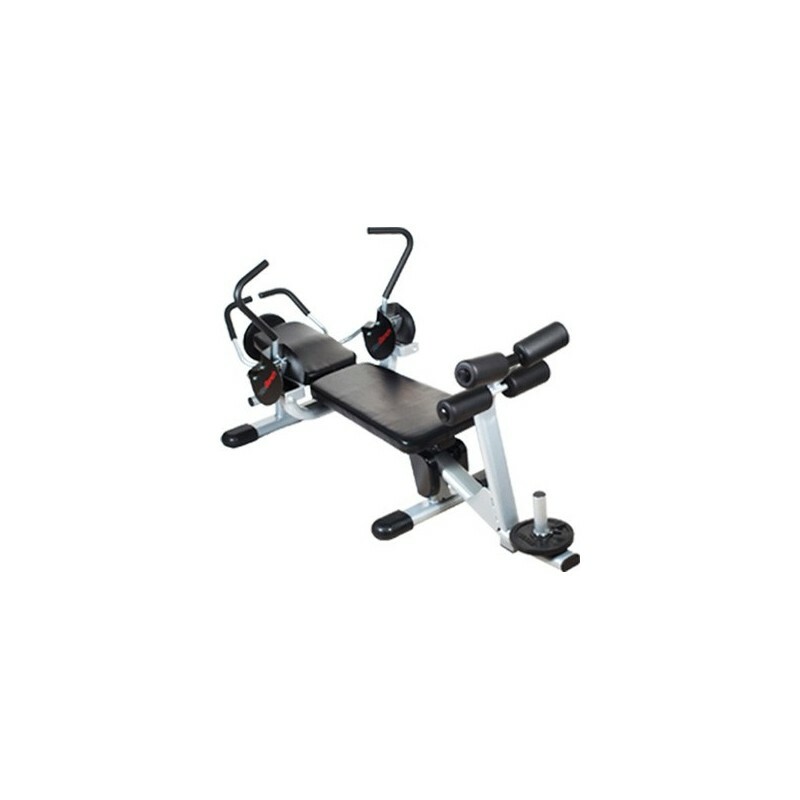 The Abs Company Abs Bench X2 is designed with dual pivot motion to naturally perform a double-crunch exercise using both a forward-crunch movement and a reverse-crunch movement. The forward crunch and reverse crunch can be performed separately or simultaneously for an innovative abdominal workout. The Abs Bench is the only commercial-quality abdominal bench that works both the upper and lower abs at the same time. Integrated weight horns on the upper and lower parts of the machine allow users to add and vary the resistance level for the forward- and reverse-crunch movements for a more challenging workout. 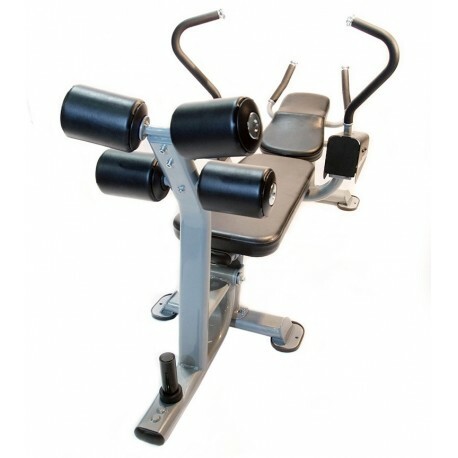 The ergonomically-angled pads and foot pegs provide superior comfort and stabilization regardless of exerciser’s size.